The following "Mnemonic Device" or sentence is useful in remembering some of the most essential coordinating conjunctions. This video is a classic that is simply a good tune to remember coordinating conjunctions join clauses and phrases. 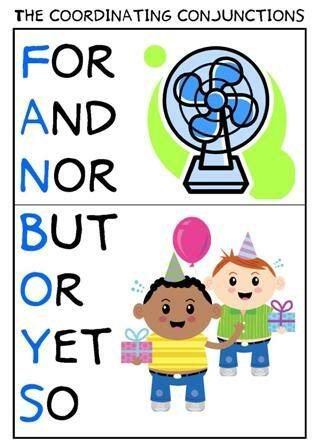 You can use this handout to add in coordinating conjunctions and also correct run on sentences.